Back in February 2008 there were two key competitors in the touchscreen smartphone market: Microsoft’s Windows Mobile 6 and Sony Ericsson’s Symbian-based UIQ. Windows was the more popular of the two, even though its user interface was a pretty horrible attempt to emulate the desktop environment on a pocket device. Sure, Apple had launched the iPhone the previous year with a slick new interface, but it hadn’t really made much of a market impact at this point. Android was in the pipeline, but still a long way off. So at this point in time, it was really Microsoft who had the dominant position in this market. Launched at roughly the same time, the Sony Ericsson XPERIA X1 and Toshiba Portégé G910 and G920 were both quite similar devices from well-known names in the industry. 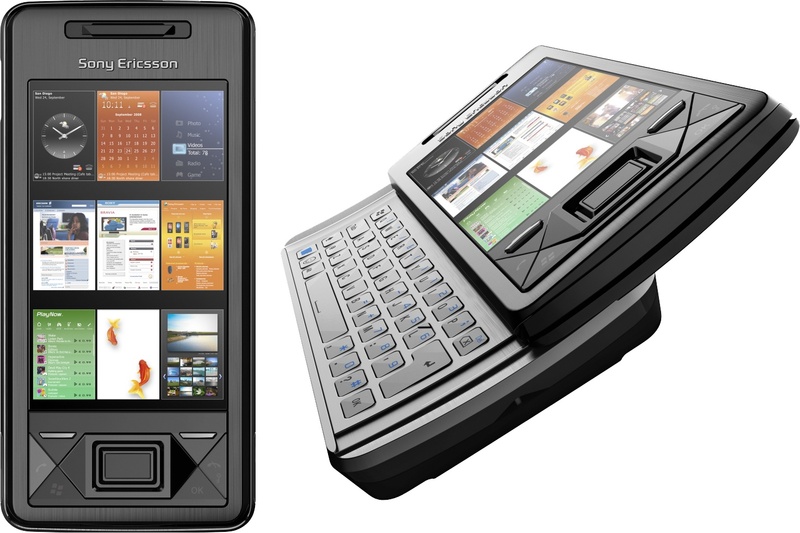 But what was a typical high-end Windows smartphone like in 2008? Let’s start with the Sony Ericsson XPERIA X1 - this was the very first “Xperia” smartphone, but where all modern ones run Android, this one ran Windows Mobile 6.1 instead. 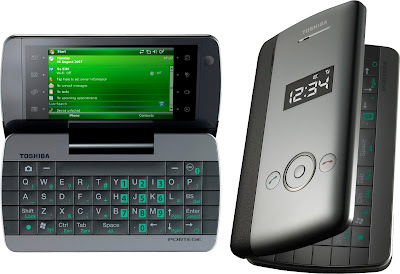 Featuring a 3” WVGA display (which was large for the time), the X1 also had a slide-out QWERTY keyboard, 3.5G data, WiFi, GPS and pretty much everything that you would find in a smartphone today. Unusually, the X1 also had a microSD slot rather than using Sony’s Memory Sticks… and this was a clue that the X1 wasn’t really a Sony Ericsson at all. In fact, the XPERIA X1 had been designed and built by rival firm HTC who were experts in making Windows Devices. HTC had been making quite a name for themselves, so the decision to compete with themselves with the X1 was a strange one. Some work had gone into making the Windows user-experience a better one, with a tile-based application launcher. It was quite a stylish device too, although the slide-out keyboard did add substantially to its bulk. At the time of launch, the X1’s overall package was better than almost anything else on the market, but by the time it actually went on sale in October 2008 it was beginning to look a little dated. It was something of a success though, and in 2009 it was followed up by XPERIA X2 which was less of a success. Sony Ericsson moved away from Windows to concentrate on Android devices, but it did produce the BlackBerry-like Aspen in 2010 which rather sank without trace. Toshiba made a huge effort in February 2008, launching the esoteric G450 along with the compact Windows-based G710 and G810. However, at the top end was the Portégé G910/G920 which had a pretty similar configuration to the XPERIA X1, but perhaps more aimed as being a laptop replacement than a high-end smartphone. A clamshell device rather than a slide, the G910 and G920 also had a 3” WVGA display, 3.5G support and WiFi. The G920 had enhanced GPS functionality over the G910, but overall both featured almost everything you’d expect to see in a modern smartphone. Toshiba had been trying to break into the mobile phone market for years, but except for Japan they had not had much success. Toshiba would give up trying to compete a few years after this, before attempting and failing to break into the tablet market. In the years past that, Toshiba continued to slide – even pulling out of consumer laptops, a market that it had once been a major player in. In the end, neither device changed the world, although the XPERIA X1 did give Sony Ericsson (and later Sony by themselves) the impetus needed to concentrate on touch-screen smartphones. The Portégé range couldn’t help stop Toshiba’s decline though. And today Windows Phone is an endangered species, for all its charms. For collectors, the Sony Ericsson XPERIA X1 is commonly available for around €40 or so unlocked. The Toshiba Portégé G910 and G920 is much rarer with prices at around €100 for collectors of esoteric Windows devices.